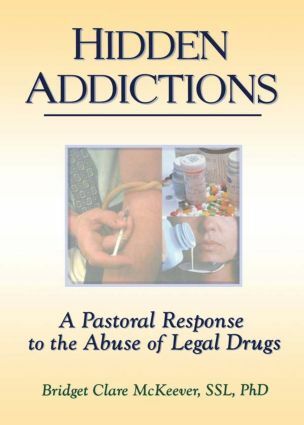 In Hidden Addictions: A Pastoral Response to the Abuse of Legal Drugs, you’ll find that beneath the gruesome, more public face of illegal drug abuse lies another less hideous, but just as destructive, layer of addiction--the addiction to prescribed drugs. In this revealing study, you’ll learn how you can confront the hidden malady of legal drug dependency in individuals and ultimately break its chokehold on a world already ravaged by complacency and social-systemic dysfunction. In a society already addicted to power, pleasure, and possession, you don’t always see the “warning buttons” being pushed. But this book shows that you can turn back the quiet tide of spiritual sickness and psychochemical dependency that’s sweeping the globe. So whether you’re a pastor whose congregation is suffering, a social worker administering to addicted clientele, or a campus minister, Hidden Addictions will give you the pragmatism and awareness you need to heal the wounded soul.